Services | Ric-Man International, Inc.
Ric-Man can combine Design/Build Services with either in-house engineers and/or design consultants. Succeeding in the design and construction of new services to residents with limited interruption and providing new drainage, including storm water pump stations, drainage wells, new landscaping, street lighting, paving and concrete flat work. 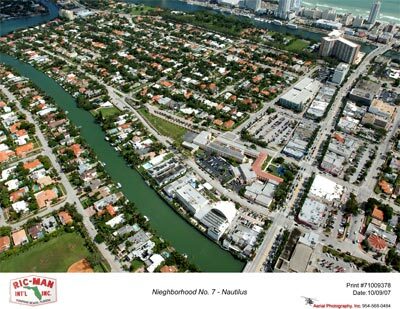 Whether it is residential or commercial like in the middle of one of Miami Beach’s busiest avenue, Ric-Man will deliver on time and on budget. Ric-Man has successfully complete 23 neighborhood Improvement Projects from 160 to as many as 2,000 residents, in St. Lucie, Palm Beach, Broward and Miami-Dade counties. We provide such techniques as scheduling work on alternating streets when construction will close off streets of long periods of time, coordinating the construction of utilities by facility needs rather than ease of installation, thereby reducing the interruption of water and sewer collection to each resident. We also prioritize the restoration of driveways to return access to residents to their homes expeditiously.